Art, Seeing Signs, Erin Stephens-North. 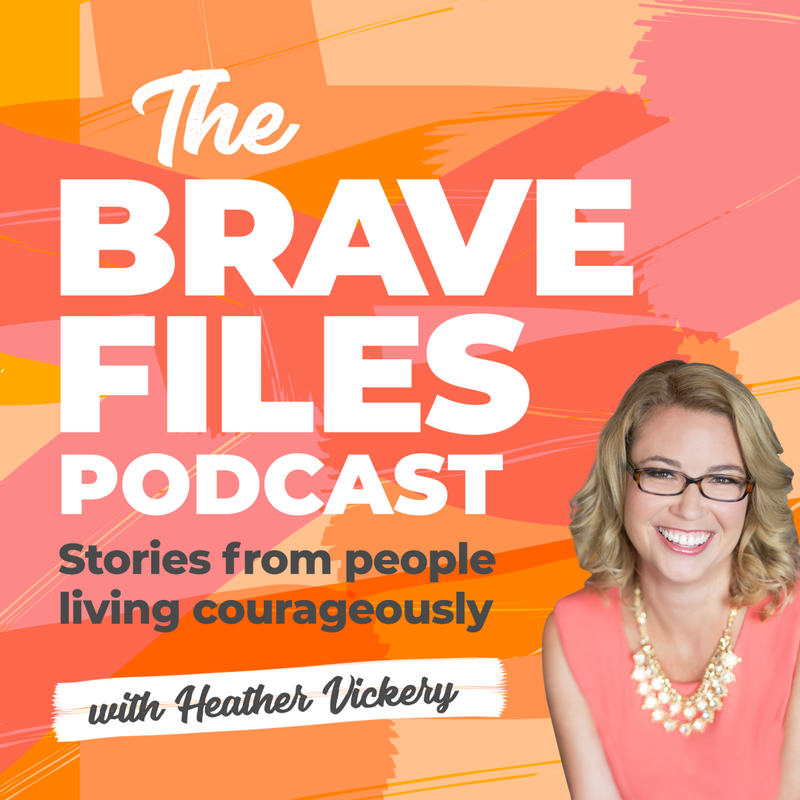 The Brave Files Podcast, Ep. 27. 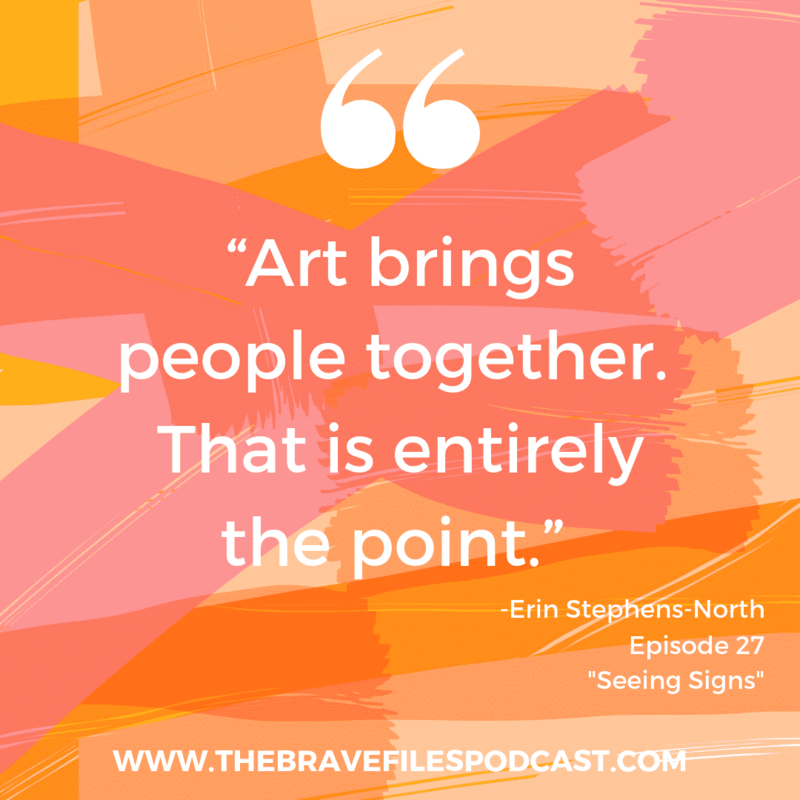 If you ask Erin Stephens-North to describe art, her description may surprise you. 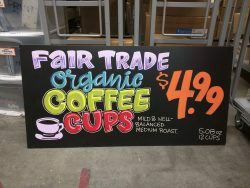 For Erin, art is the signs she creates for Trader Joe’s (and who isn't impressed with the creativity you see at TJ's!?). Also, it's is the paintings she exhibits in her solo shows. In contrast, it might be a street performance, a conversation or even a vision. As a recent college graduate, Erin experienced hallucinations, visions and manic episodes. Eventually, she was diagnosed with Schizoaffective Disorder. 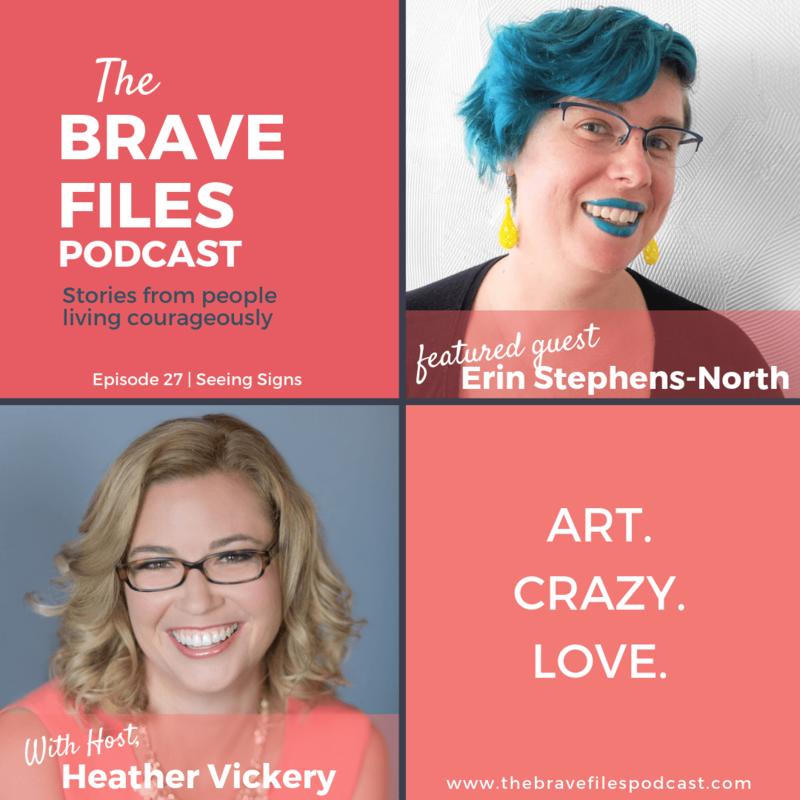 Erin joins The Brave Files to talk about art as a bridge between what she calls “consensus-view reality” and the visions that have colored her adult life. If you are an artist that wants to be braver with what you create, Erin recommends the book “Art and Fear: Observations on the Perils (and rewards) of Artmaking.” by David Bayles. Without a doubt, art saved Erin's life. With gratitude, art gives Erin a mission. It also continues to shape her everyday reality. Don't wait, tune in today to hear this inspiring story in Erin's own words. 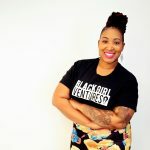 Additionally, you can learn more about Erin on her website. One last thing, be sure to listen through to the end of the episode to hear Erin's “on the fly poetry.” She created this piece for Heather and it is a highlight. Art is an experience, not an outcome. We can do the most with our bravery when we pair it with compassion. All experiences can be meaningful if we allow them to be. Erin is actively involved in local government. She believes deeply in the importance of this involvement. As such, she supports U.S. Senator Chris Murphy of Connecticut by being an active member of his campaign and helping to raise funds. This not a traditional “Charity of The Week” for us but, like Erin, we believe in the power and importance of getting involved in your community and local governments. Just like Erin, we encourage everyone to support candidates and elected officials, on the local level. These candidates and elected officials are bringing about positive change throughout the nation. Therefore, it is important to understand this work cannot be done without the support of active community members. Now's the time, change starts in your own community! I’ve worked to make art my life. I believe, art is novelty and joy. Art brings hope and it uplifts. Truthfully, bravery and art always come together because great art flows from vulnerability. Hence, performance is ultimately my favorite “art” and extends into every little human interaction. Luckily, this interest in vulnerability informs my on-the-fly poetry (hear this live at the end of the episode!). 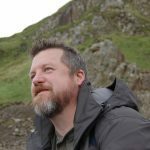 Also, you'll find my work and the improvisational abstracts on Instagram and my Artist’s Site. Lastly, in the grand scheme, if art isn’t there, it’s probably boring. In all my art – painting, performance, photography, writing – I evoke that “whoa that just happened?” feeling. Ideally, my life is, and will continue to be, my greatest work. 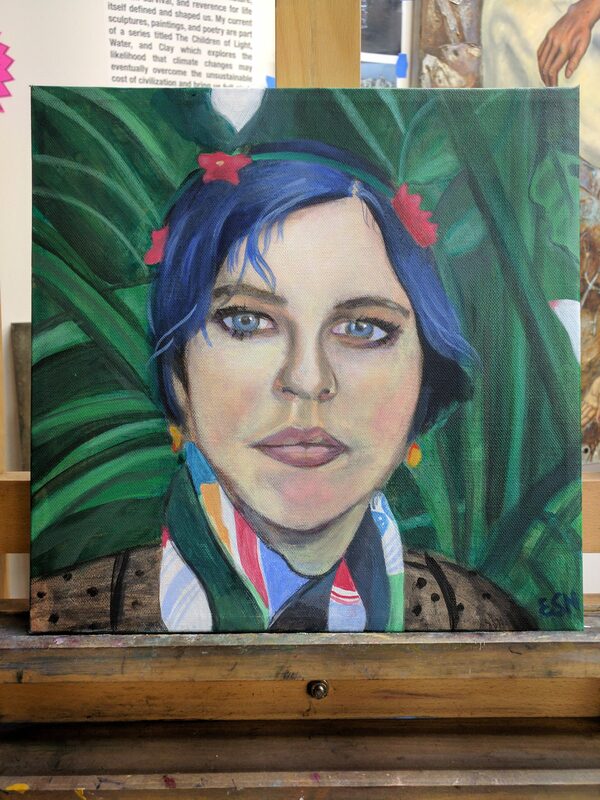 Erin often does self portraits as a way to reflect and connect. Erin truly enjoys her artistic expression at Trader Joe's. She also takes great pride in her professional artwork.